Planning your special day can be tricky, however a few simple tips and shortcuts can make this process a lot easier and leaner on your budget. When it comes to decorating and catering for your wedding, don’t rush out and buy absolutely everything. You’d be surprised at how many things can be hired these days, saving you both time and money. Many brides consider the wedding dress to be one of the most important elements in their day. Some spend weeks, or even months, searching for the perfect dress, which is often passed down through the generations for future brides to wear. However, with an average dress costing over $2,000, many brides will baulk at the idea of splashing out so much money on an outfit that will only be worn for a day – or even a few hours. That’s where wedding dress rental comes in. Many companies offer brides the chance to rent out luxurious designer gowns for a fraction of the retail price, which is a great option for those women who still want to feel like a princess without the price tag to match. 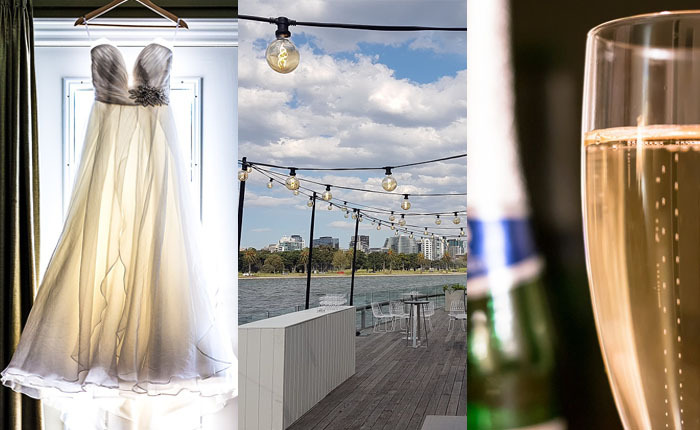 Many venues come with very basic lighting that isn’t always suited to the wedding of your dreams. That’s why many couples opt to hire wedding lighting, which can be quickly and easily assembled to create the perfect atmosphere and ambience at your venue. The right lighting package can truly transform even the plainest spaces, so this is one essential you shouldn’t overlook. If you’re choosing to serve your guests a tasty tipple or two at your reception, see if you can supply your own. This can dramatically reduce the cost of your catering budget, as many venues charge hugely inflated prices for alcohol at the venue. This is a great option if your big day is in a private home or venue, as you can supply as much bulk-bought booze as you want without the hefty price of corkage. Just make sure you’ve got some delicious non-alcoholic options on hand, too! Get in touch to see how we can help you get the best lighting to create magic in your venue!